And cry for what he took from me – He made my eyes become so dim. 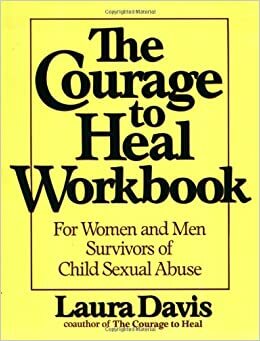 It took many years to accept and acknowledge to myself that I was sexually abused. I started to chip away at memories subconsciously through my paintings. Then, through my voice – this was a powerful way to reclaim my “voice” after being so betrayed. This was a song I wrote as I started to tiptoe back into those memories. The “running away” refers to my reluctancy to think about what had happened – but it’s impossible to heal and recover your SELF when you’re numb. Unfortunately, YOU need to be there for you to heal -but that is the challenge, and ultimately, the gift. Give my song a listen – I’ve written quite a few songs over the years, mostly for me. Music is extremely therapeutic to write, sing, dance to listen to…what songs make you really feel? A simple metaphor can speak volumes about our physical and emotional state. “Ship In A Bottle” is a song by Amanda McBroom that expressed the state of my body post-surgery. When I chose my first dance with my husband, it was difficult to sum up everything I felt in one song – what would your first dance with YOURSELF be in your marriage to you? They can express the vitality we feel. David Friedman wrote this song – Still Alive – for me for the TODAY show. Take Ms. Arie’s lyrics to heart. You are NOT your circumstances. YOu are not your abuse, your weight, your age, your paycheck, your fear. But you are your gratitude, because being grateful means you acknowledge something as part of your vitality. So be grateful, be vital, and be the music that resonates with you. That is what music is here for. To help us fully realize our aliveness. I have more to write about my abuse, more songs to share, more to write, some for here, some for myself. I am not fully healed and I don’t know if we ever do fully heal as mortal beings on this earth. I think we are always a work in progress. But that’s a great thing. It means there is always more to discover, to inspire and to create. Where is the light in you that needs to be expressed today? Take care of it. It is your light. Music therapy interests me so much. Music has always gotten me through so much in my life. It IS very therapeutical! Music has always been a constant in my life, even when the sound of anyone’s voice can set me on edge, there’s beautiful classical music to listen to (thank goodness!). I’m sorry you had to go through this and thank you for sharing your journey so openly. We all have parts of our selves we need to heal and music and art are wonderful tools. Thank you for sharing your story! Music, art and writing therapy is something that I’ve thought about looking into–writing therapy in particular. That’s my passion. I turn to writing when I’m going through a hard time and I believe they can be powerful tools to help people heal. Such a heartfelt post, thank you for sharing. I’ve often thought of music as a motivator, but it’s so important as a healer, too. Thanks so much for sharing all these beautiful songs, especially your own! Music is truly a wonderful, magical thing! You are a very talented person in many ways and a great inspiration! Stay strong! I agree that music is very healing and therapeutic. What a beautiful song you have created out of so much pain. I wish you luck in your journey to further healing. Thank you for sharing this deeply emotional story with us – music can play such a important role in healing! What a great read! Music is certainly therapeutic in times of trouble and I do think it does bring it’s own special healing! Clearly you’re a survivor; sorry this had to happen to you ~peace! This is beautiful what you are doing. The videos really touch my heart. Music is such an amazing thing! It affects us all in such a deep way. Great article. Music is so therapeutic. I loved your song. Your story is powerful. Thank you for being so vulnerable and sharing! Love this, I defnitely believe in music therapy! You are awesome for sharing so openly; an inspiration and I know other will gain strength from reading this. Music is a truly amazing therapy! You are so brave to come forward in this way. A truly courageous way to come to grips with such an event. The music therapy is an incredible way to cope. I’m so sorry you went through a horrific situation. I’m so glad you’re finding healing through music. I am so sorry that you had such a terrible thing happen to you. You are so brave to share this. Wow thank you for sharing with us. It takes a lot of bravery and courage I’m sure! Your story is so powerful! Thank you for sharing. I definitely think that music helps in different ways, depending on the person.